History Makers is a powerful leadership tool and an initiative of the International Leadership Institute. in partnership with K180, which seeks to equip young leaders (or those with the potential for leadership), aged 18-30, for the spread of the Gospel. 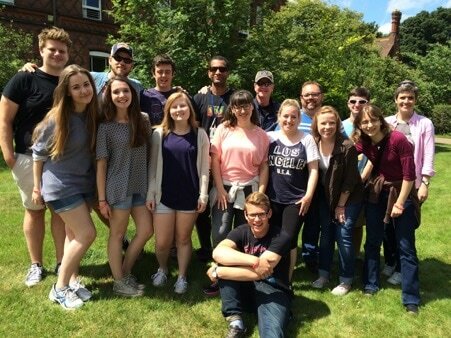 Two residential weekends with likeminded young leaders exploring eight Biblical core values for leadership. In between these will be a period of guided growth which will include mentoring, a weekly devotional, two free books for you to discuss in a small group gathering for others from your region, and other online talks to engage with at your own pace. The setting once more for HM in the UK was the beautiful Regents College in Malvern. Spending 5 days or so in that environment lent itself to a deep spiritual retreat as our 2018 intake explored what it means to live out gospel-centred leadership. With participant representation also from Nigeria and the USA, it was a rich time of being in His presence seeking to be better equipped for the task before us. Please pray for the participants as they now seek to work out what the Lord has worked in. 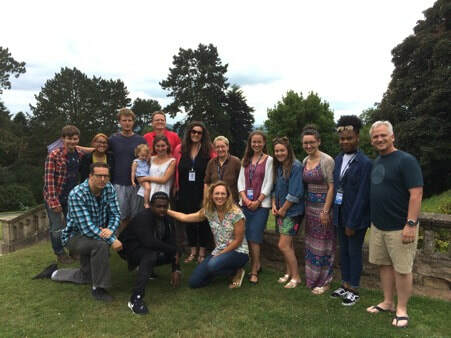 "God has been working in my life this week"
How much does History Makers UK cost? History Makers UK costs £300 per person. This includes accommodation, meals and all conference costs. ​Where needed, we encourage home churches to consider investing in their young leaders by enabling them to experience History Makers. ​Another year, another venue! The HM UK journey was privileged to be based in the beautiful rolling hills of Malvern. With some terrific summer weather and an environment that lent itself to a retreat setting, it is safe to say that all involved with the week had an inspiring time. It was a week filled with learning, rest, challenge and, most importantly, hearing from God. Within 48 hours of starting, the testimonies were flowing. God is so gracious. It was a dynamic time, and, by God's grace, we trust a highly significant moment in the lives of these emerging leaders. "God has cleared my vision, fuelled my passion." "This week has been really blessed by the grace of God. I enjoyed sharing my vision and mission and I am really motivated by the support I received from my friends, or let's say, from my new family." "I feel ten-times more passionate and excited about my vision." ​We gathered at All Nations Christian College again this year for History Makers UK 2016. This was a wonderful week of deepening relationship with God, seeking Him, hearing from Him, building relationship with one another, catching vision, being challenged, and having fun! With teaching from Iceland, the US, and the UK team there was a wide range of input and a breadth of experience from different areas of the world. It was both encouraging and exciting to hear that many of the participants immediately took what they learned at HM and began using this teaching as they disciple others in their home settings! "The sessions were all super-relatable and easy to understand. The way they were taught made it really applicable to everyday life which made it easy to envision how we can use what we learned back home…I can now go back home and pass on what I’ve learned to other young leaders." With two church planters joining from France, young leaders from the UK came together to All Nations Christian College for the 2015 History Makers. With teaching from a UK team plus two guests from the US, it was a week of fun, challenge and leadership character shaping! A fantastic week where young lives were further equipped for the urgent Gospel task in hand. "The expectation of History Makers is like putting benzine (petrol/paraffin) on a fire"
"I feel like History Makers has helped me find what God's vision for my life is"